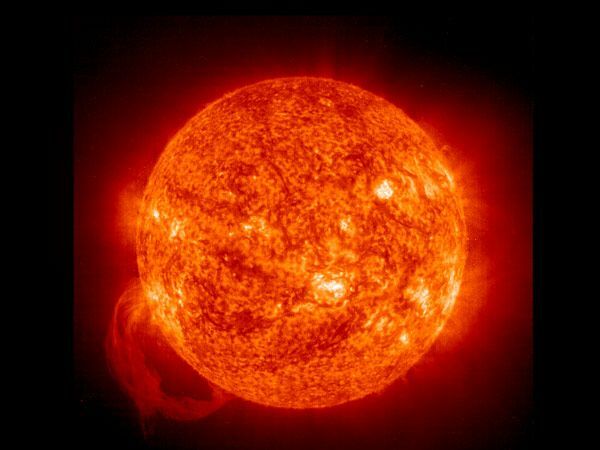 Summer Solstice | Ooh, my favorite! Live it up! Today is the longest day of the year and the first day of summer. If only the weather knew this and was just a touch warmer. See what time sunset will be in your city here. 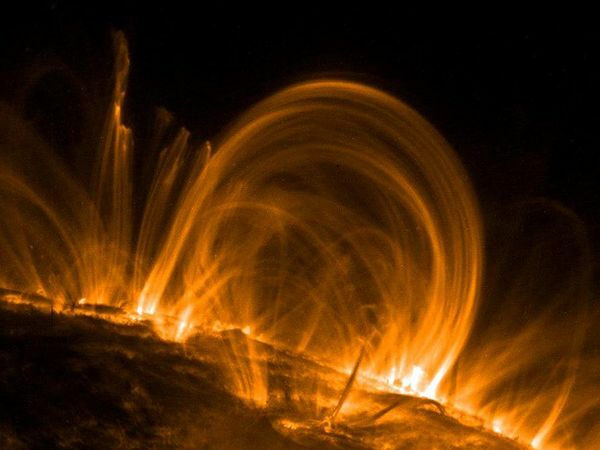 Instabilities in the sun’s magnetic field led to an explosion visible as a loop in the lower left. 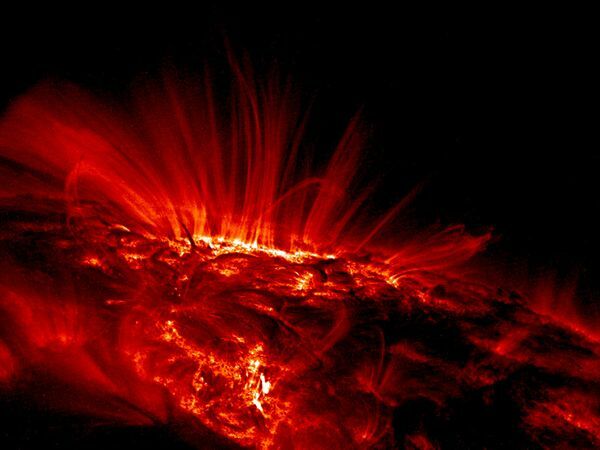 Plasma pushes and drags magnetic fields into lines that cause these loops that can reach as high as ten earths. A quiet day on the surface of the sun, no storms, just these lovely loops. I love them too, but they’re a bit eerie at the same time aren’t they? yesterday was the longest day of the year, here in norway. the sunset at 22:37 on our most southern tip of the country. most norwegians go out to sea on this day, land their boats on small islands and celebrate with large bonfires. the sun comes up again at 4:15. the birds start singing at 3. i’ve had to find many ways to trick myself into sleeping in brightness of the night and early morning. Oh gosh, Heidi! I was thinking about that the other day but forgot to ask you about it. Sounds like a great way to celebrate the solstice though! How do the winters work for you? We had the dreary Seattle winters growing up though, didn’t we. :) Although, definitely not as extreme as Norway’s.